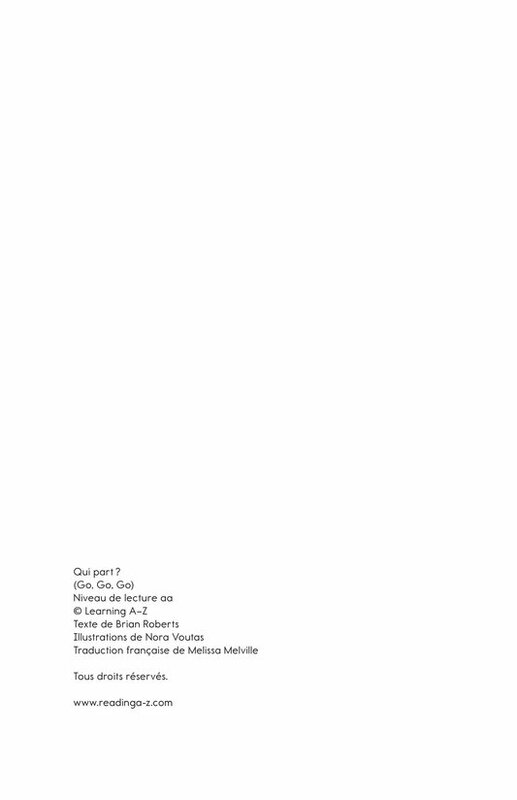 > Livres en Français > Level aa > Qui part ? 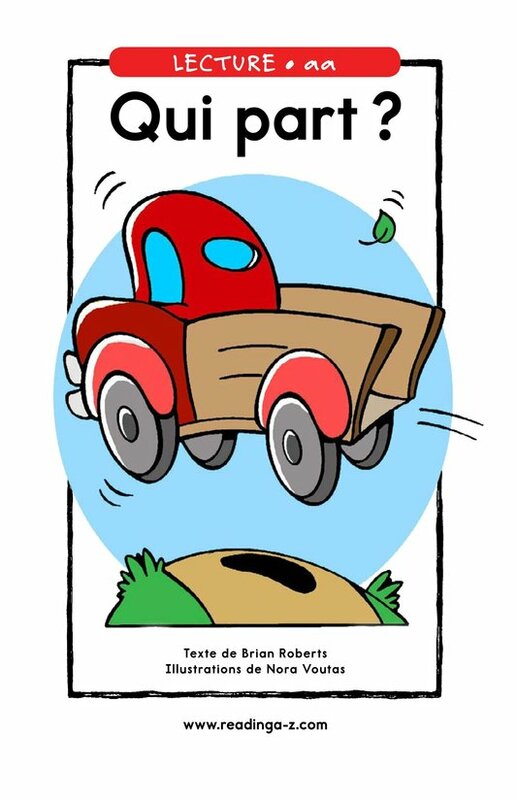 Fantasy (fiction) 24 words, Level aa (Grade K), Lexile BR30L. 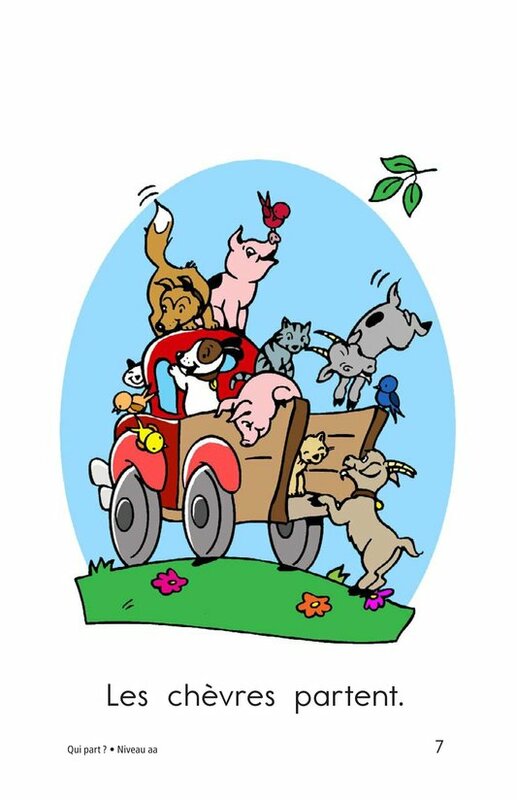 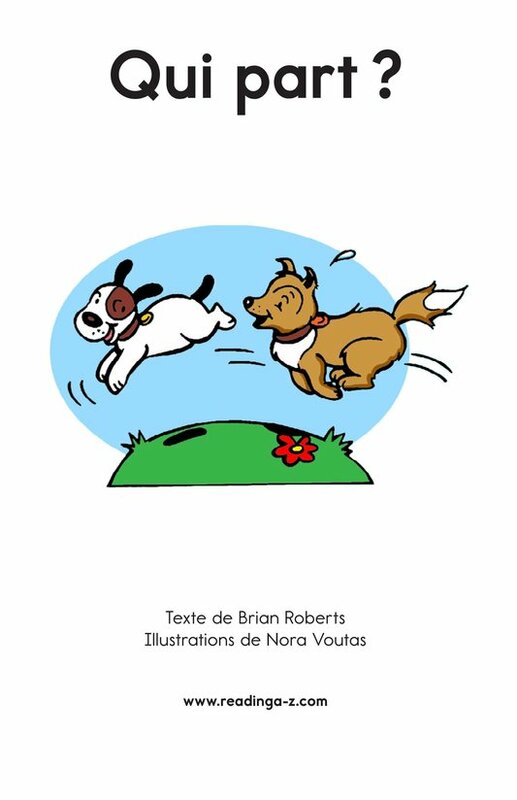 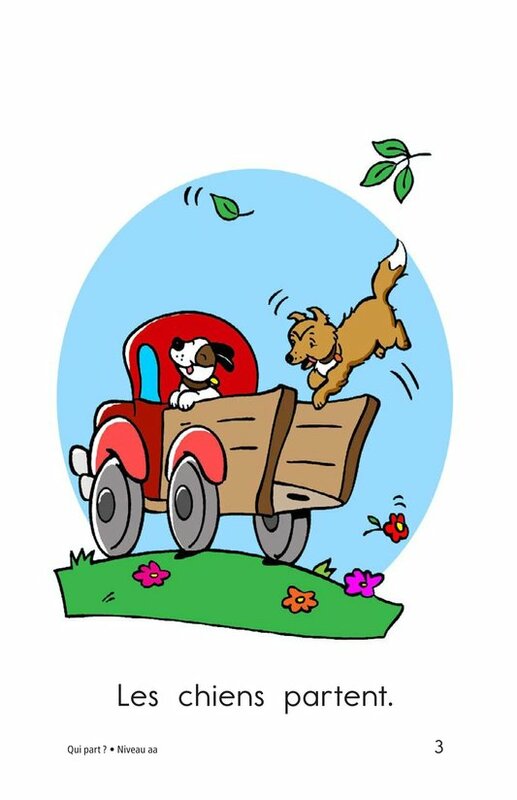 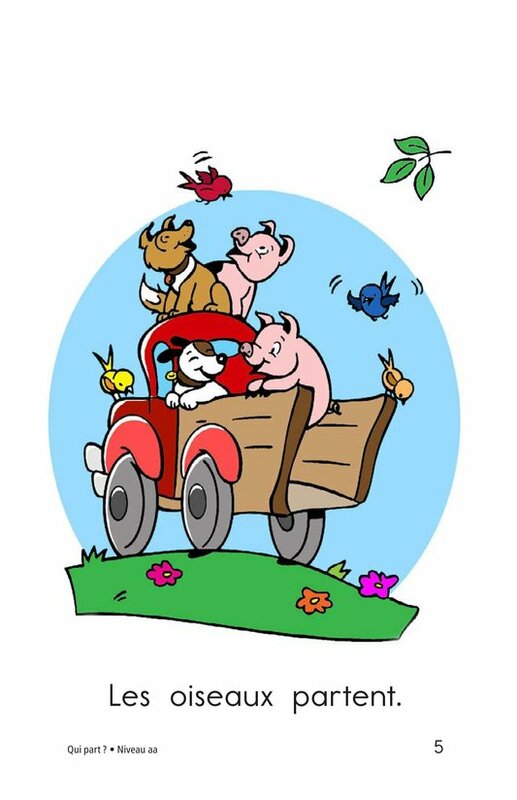 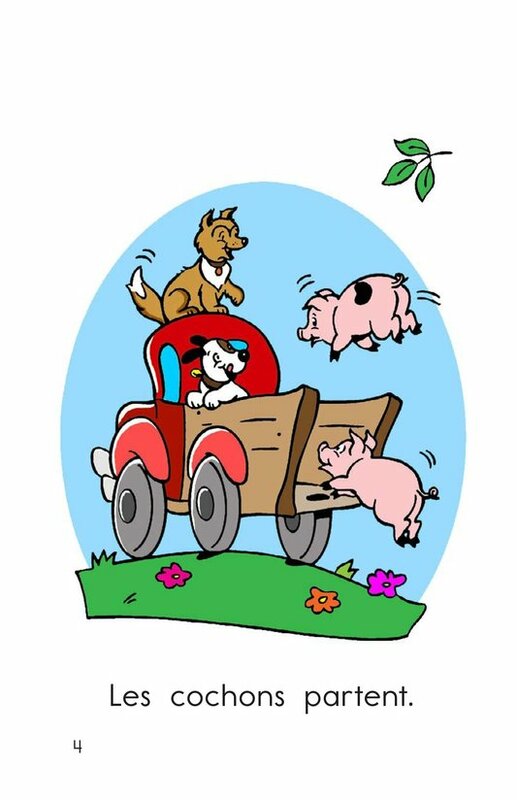 Readers can follow the animals as they Go, Go, Go in the back of a speeding pickup truck. 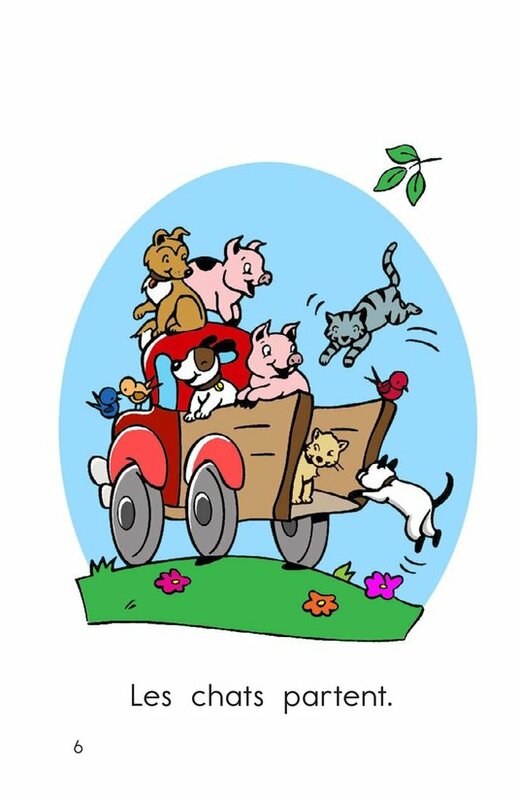 Each successive page shows additional animals jumping into the truck. 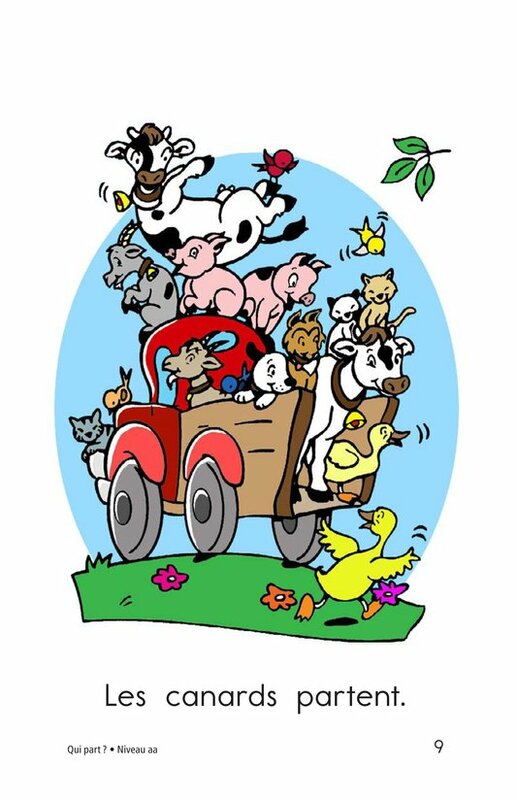 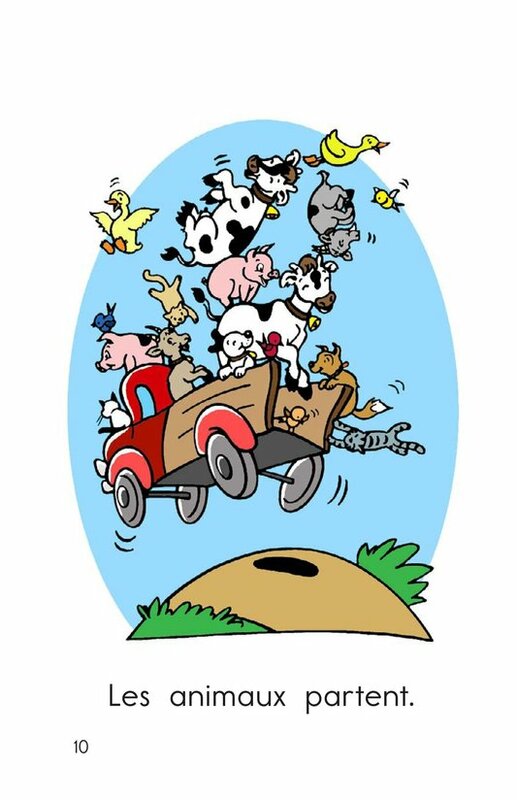 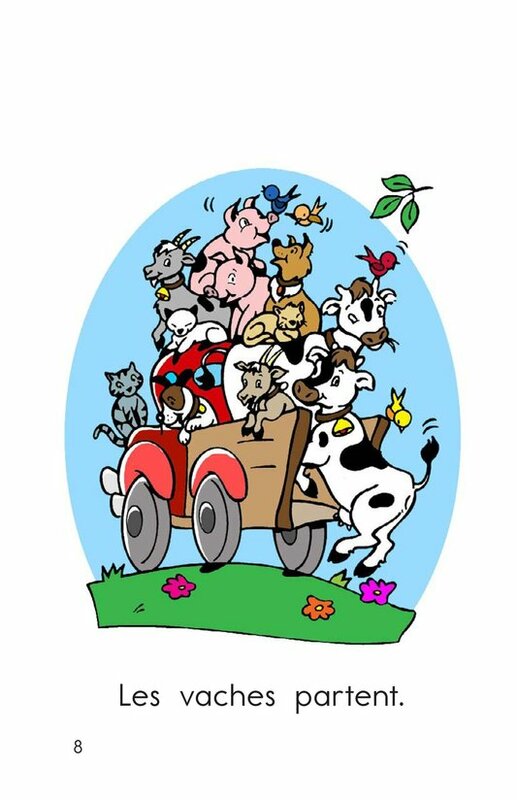 Eventually, the truck becomes so jam-packed with animals, the reader may wonder how it can go at all!